I have seen other opportunities while exploring quests in World of Warcraft, a number of space-themed games mentioned in this blog, and playing a range of new (to me) games on the course. I am finding that a number of themes keep arising in my interests while engaging with these games and thinking about their narrative, objectives, and the ways in which they introduce artifacts and skills. My interests continue to be strongly with games which have a social and community dimension, and a way to engage players with the broader community involved is often something they involve. So, I have begun development of a game design for a quest style game in the Avatar movie theme areas of a MMO such as Second Life. 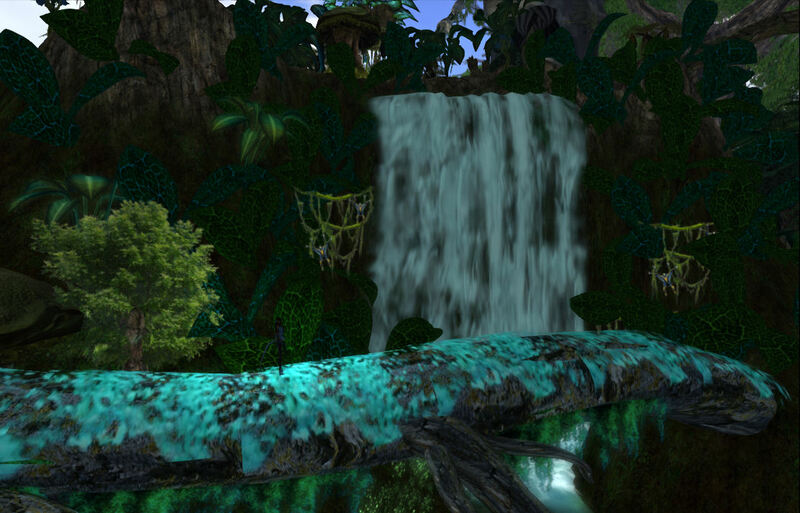 The game is based on an exploration of the Pandora moon flora and Na’vi culture. It will have strong community and knowledge sharing aspects, but allow for play that engages with others or not, with consequences. I call the game “Moon Bloom – The Legend of the Bloom of the Aligned Moons”.